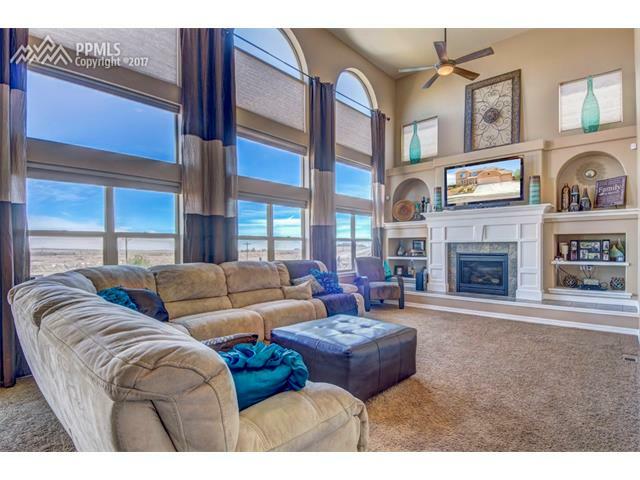 Beautiful Stucco two story garden level in Indigo Ranch. 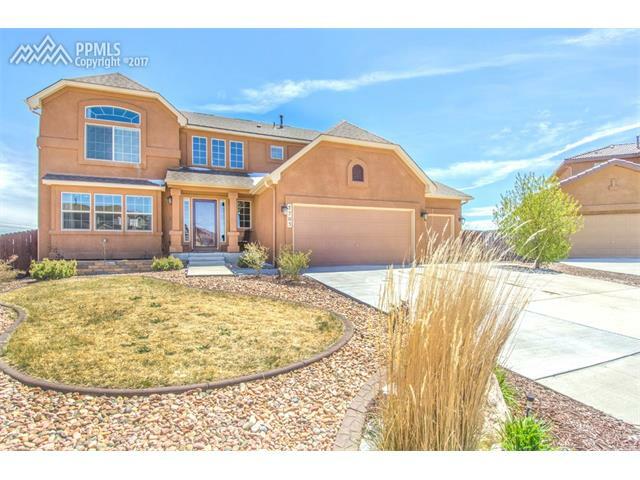 Pride in Ownership is obvious, beautiful inside and out. 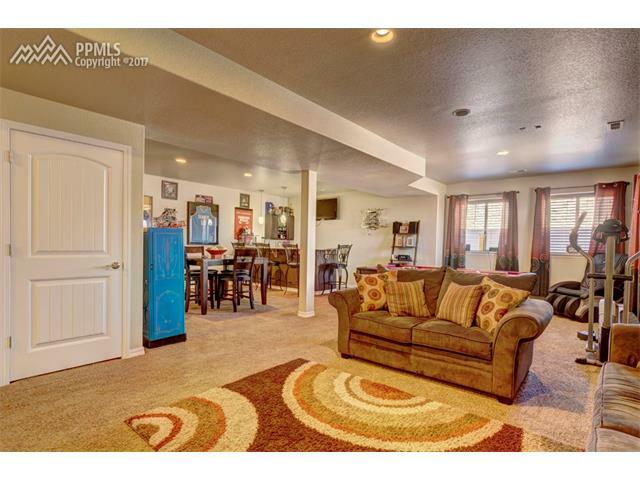 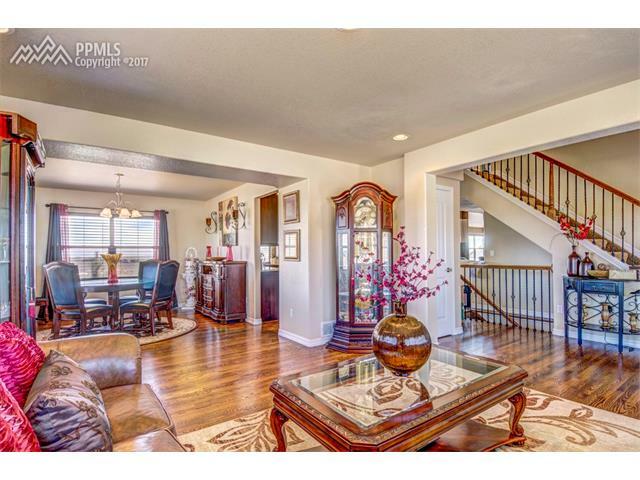 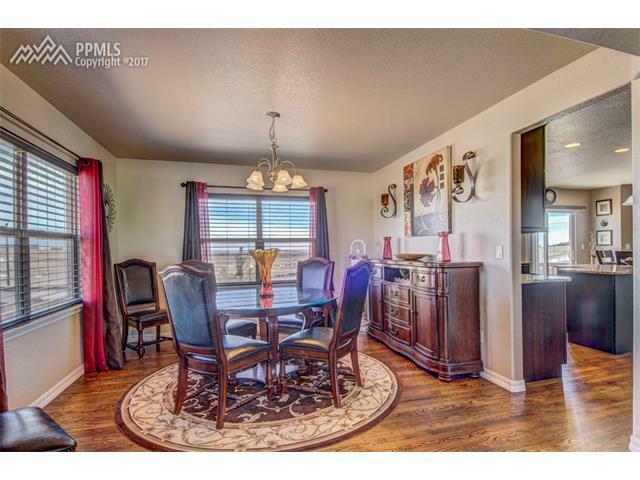 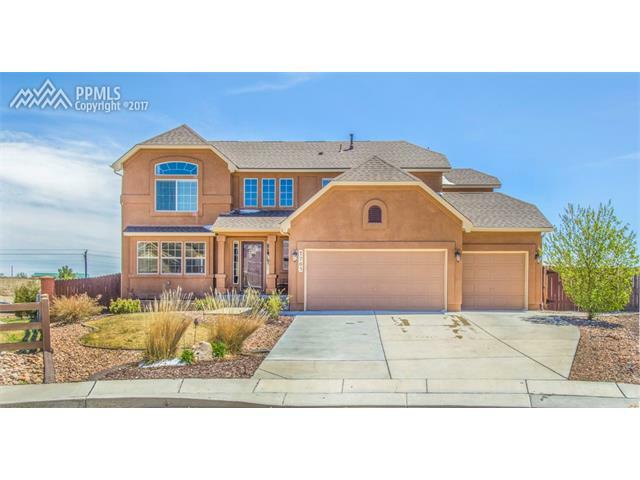 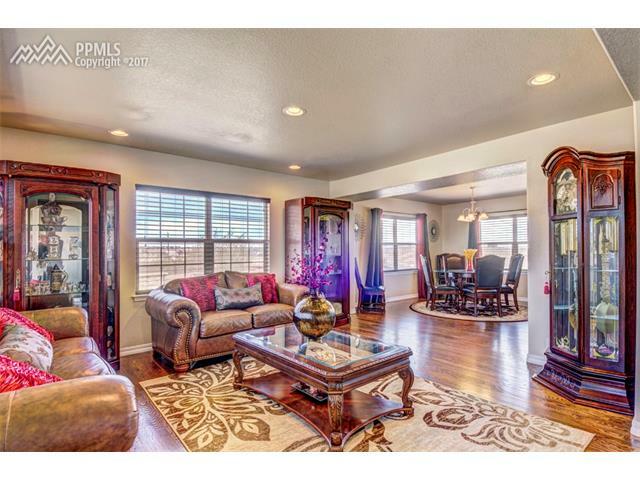 Large open floor plan featuring recess lighting in living room and hardwood flooring on the main level with carpet. 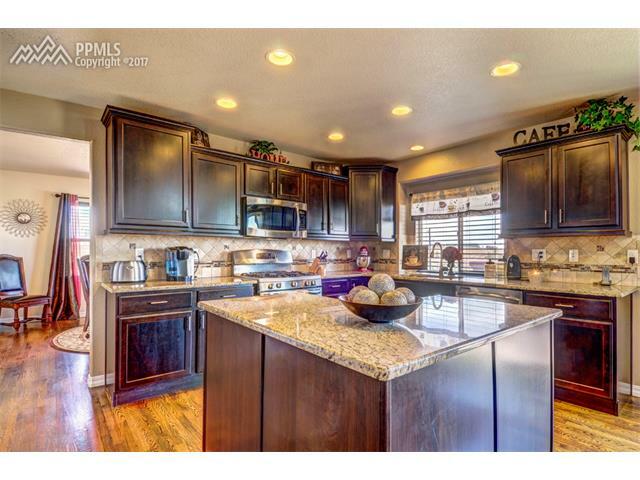 Kitchen with granite countertops, tile backsplash and 5 burner gas range. 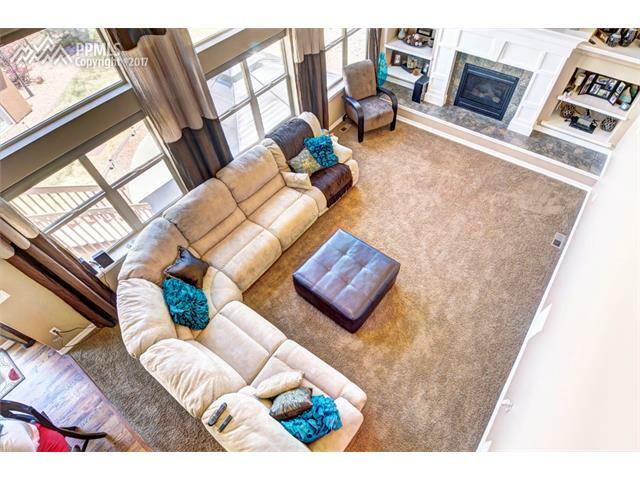 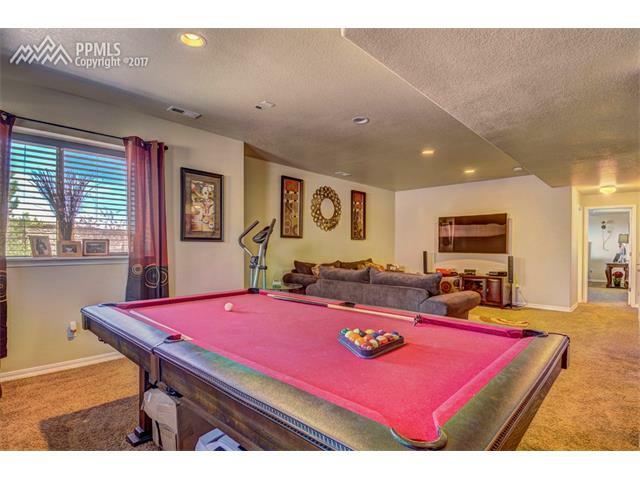 Upper level allows you to look into family room with fireplace and high ceilings. 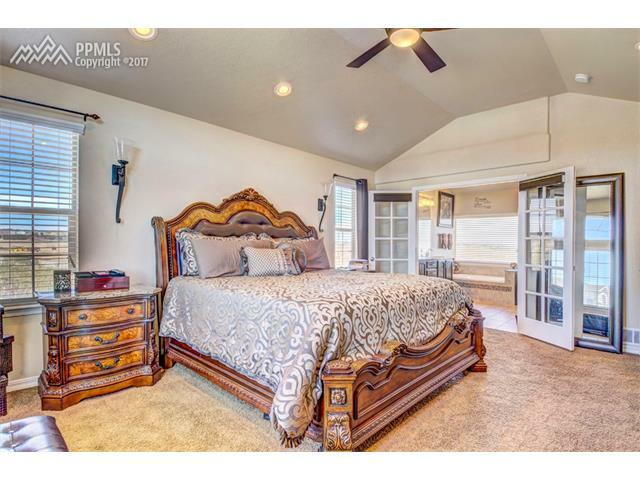 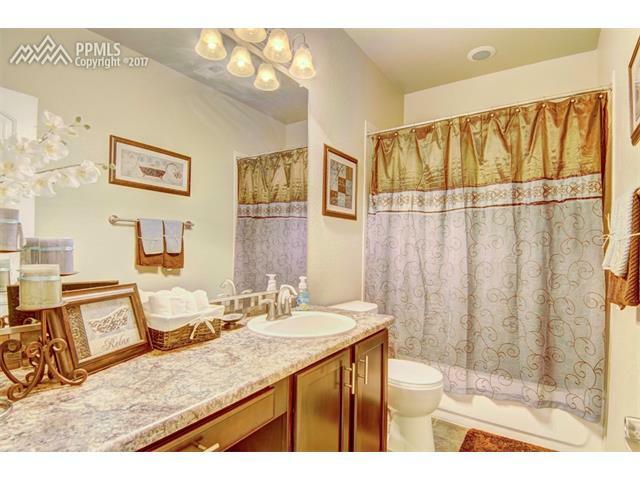 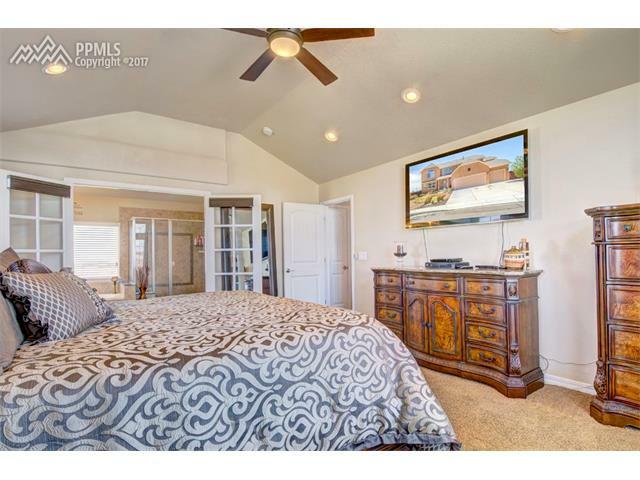 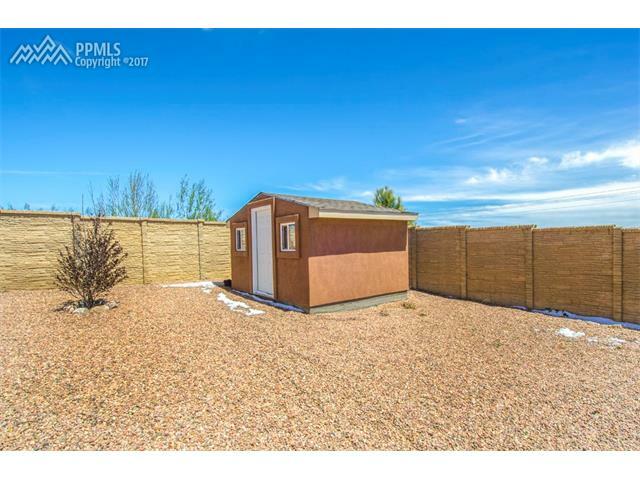 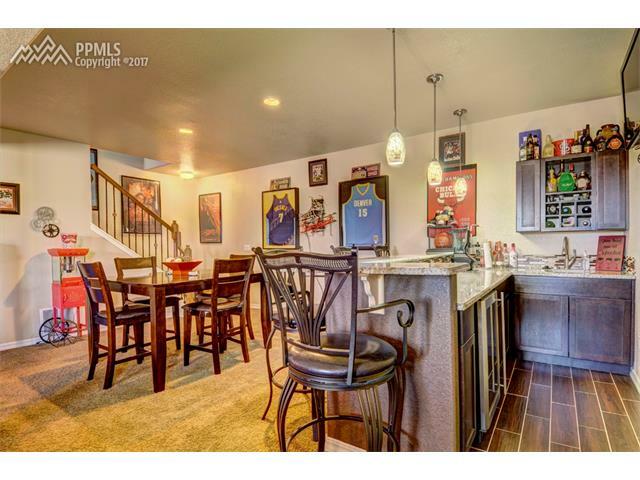 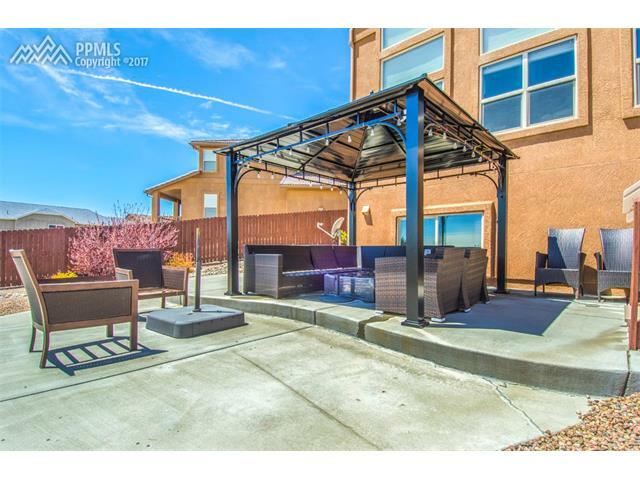 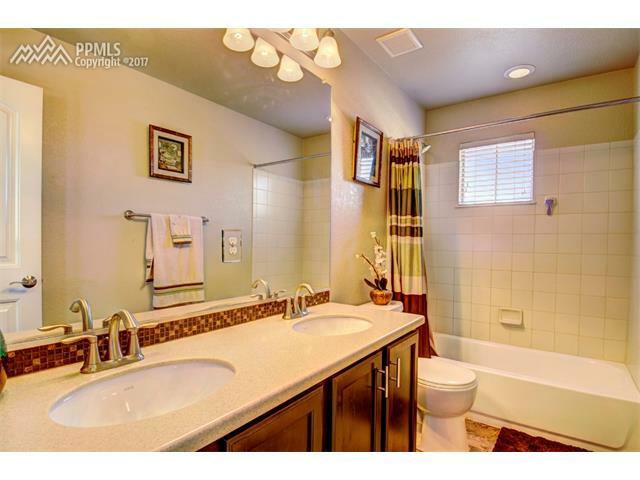 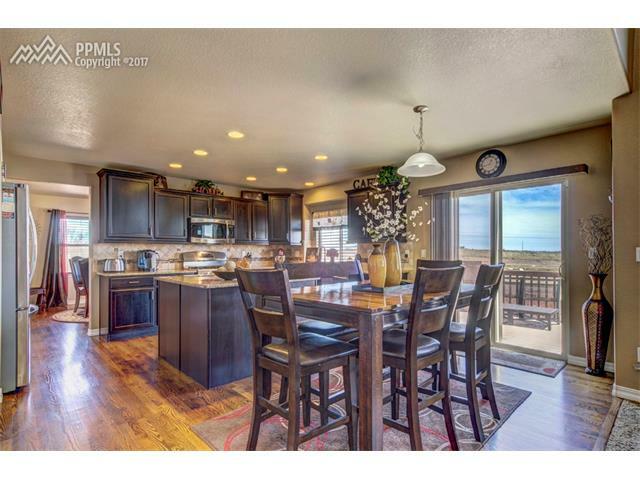 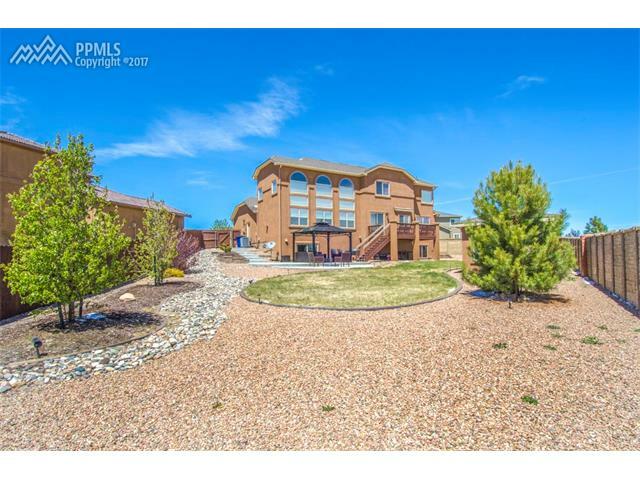 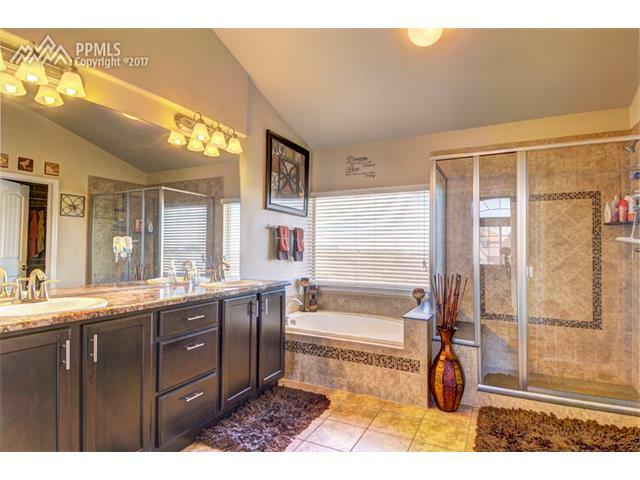 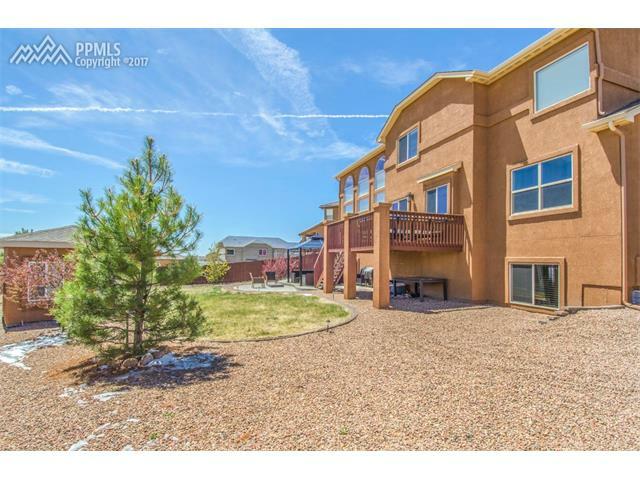 Master Suite with view of Pikes Peak and 5 pc bath with French doors. 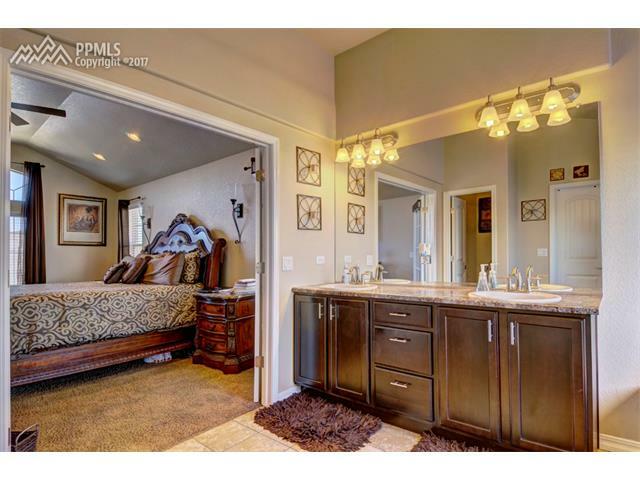 Upper level also has 2 additional bedrooms and bathroom with double sinks.